Plainfield, IN - Arguably the most grueling week for USAC National Sprint Car Teams is upon us in the height of the Indiana summer heat. 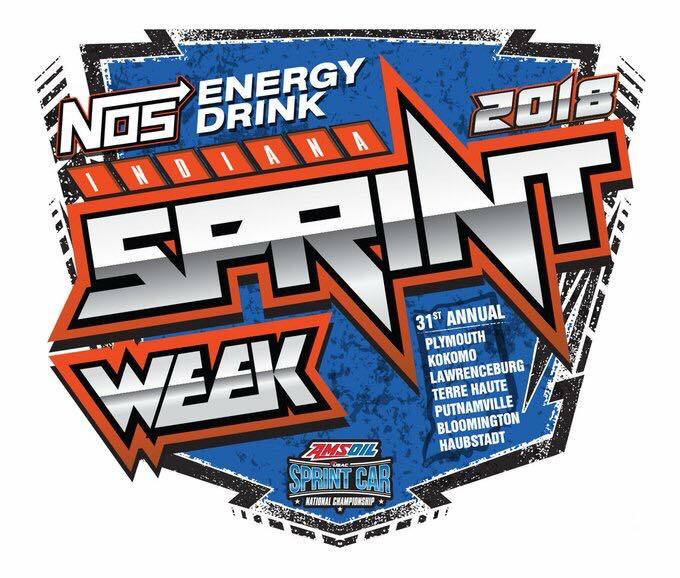 Seven races in nine nights across the state of Indiana comprises the toughest week on the AMSOIL USAC National Sprint Car Schedule, Indiana Sprint Week presented by NOS Energy Drink. Friday will kick off ISW at a venue that will hosts it's inaugural ISW event, Plymouth Speedway in Plymouth, IN. As the series returns to Plymouth for the second time in 2018 the stakes are set even higher than in the spring as not only are they battling for the win, but for the coveted ISW Champion Title. Following the series lull in sprint car action Chad Boespflug has prepared and continues to fine tune things this week as he sets to begin the seven intense nights of racing that will see non wing drivers from across the country flock to Indiana for the next nine days. Abreu Vinyards, Amsoil, Arizona Sport Shirts, Astro Titanium, Bell Helmets, Butlerbuilt Seats, B & W Auto Mart, BMRS, BR Motorsports, Capitol Renegade and Custom Trailer Sales, Claxton Engines, Creative Finishing, DMI, Driven, FK Indy, FK Rod Ends, Fox Paving, HSD, Hoosier Tire, Howard Law, HRP, Indy Race Parts, InTech Trailers, Lex Burritt Inc., Malvern Trust & Savings Bank, Manvel Motorsports, Maxim Racing, Midwest Shades, PAC Racing Springs, RevvedUp Industries, Rob & Jo's Body Shop, Saldana Racing Products, Schroeder Torsion Bars, Shaws, Schoenfeld Headers, Simpson Race Products, STIDA, Walker Performance Filters, Weld and Wilwood.